I have been really excited to debut this giveaway, and for a couple good reasons! For one, the owners of Eugenia Woods (check out their blog HERE), Rebekah and Rachel (also known as Red and Ray), are sweet friends of mine. And secondly, their blog and shop is addicting! 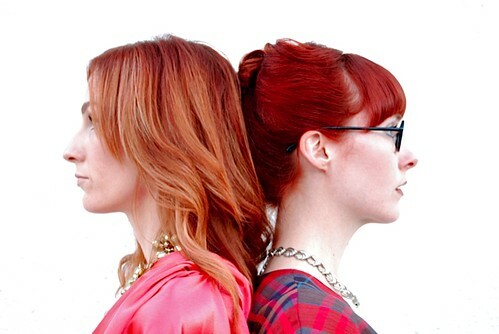 From their fun & eye-catching designs to their ever-growing DIY workshops, these creative sisters are girls to watch! *P.S. You can see some of their designs that I've featured in outfit posts on the blog HERE & HERE! 1.) When did Eugenia Woods (the blog) come into fruition? R&R: Shortly after Rebekah moved home from NYC we decided to put a blog together logging our DIY creations as well as a “what we wore” out and about highlighting new things to do around sunny St. Pete. We have added a lot of our personal inspirations to the blog which has taken it to where it is now. R&R: We, as sisters had been dreaming of opening a shop since childhood. It’s crazy that it has actually happened for us! We heard of an opening on The 600 Block downtown and we hounded the poor landlord for months until we moved in. Definitely a dream come true. 3.) Were you both very creative growing up? Red: Rebekah has always been creative. She's worked as a scenic painter for theater, film and television and took up sewing while she worked at American Stage Theater Company here in St. Pete. I (Rachel) didn’t come into creativity until my early twenties. I started by getting creative with my outfits, then got into sewing from there. 4.) What are some of your favorite pieces that you've designed for your shop? 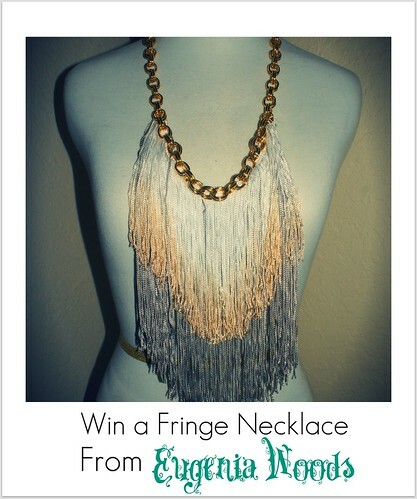 Ray: Some of my favorite pieces that we have made is this very elaborate fringe necklace. Black fringe on a silver bib necklace. We also designed and created a custom garter out of tulle and a vintage broach, and I loved it. Red: I really love the collars and velied beanies. I also love the black and white cape I created inspired by Italian designer, Vic Matie. 5.) What inspires you both to create? R&R: Everything! Other girls ensembles, Vogue, blogs, and our friends. We also love antiquing and finding something old and making it well enough to be new. 6.) How would you describe a "Eugenia Woods" kinda gal? R&R: A lady that loves a little pizazz and spurts of vintage flare. 7.) How would you describe your own individual styles? Ray: My style is definitely mismatched. I never like to wear things that “go together”. I am a fan of print mixing, crazy shoes, and I am forever changing my hair color. Red: I am a casual lady! I love my converse and my jeans but when I do get the chance to jazz it up a bit I love diving into full vintage- hair, jewelry and all! 8.) What are your goals for your shop and the blog? R&R: Our goals are to keep thriving in this amazing community. As long as people keep buying what we create then we are living the dream. We want to teach more classes on sewing and create an atmosphere for local crafters. Blog goals is to just create quality posts, and to learn more about photography. 9.) What are some of your fave places to shop in St Pete, and who are some of your all-time fave designers? Ray: My favorite places to shop in St. Pete are Misred Outfitters, and Drop. Favorite designers are Miu Miu, Elie Saab, DSquared, and Oscar de la Renta. Red: Memory Lane Antiques, DROP and MisRed. Designers- Miu Miu and Dior. 10.) If you had to describe Eugenia Wood's shop and creations in three words alone, which three would you choose? 3.) If you have a twitter account, follow Eugenia Woods! Pinky Sade - Like Eugenia Woods on Facebook! Liked Belle de Couture on facebook as Megan C.
Liked Eugenia woods on facebook and following both blogs!! 3.) Follow the Eugenia Woods blog (google friend connect is going away this month though! Added the Eugenia Woods etsy shop to my favorites on Etsy -- Ella P.